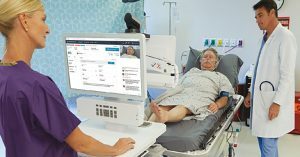 New service connects healthcare providers and patients via US-proven, easy to use platform. The team at MyDocNow is pleased to announce their easy to use telemedicine platform is now available in the Philippines. 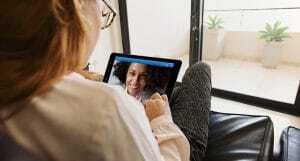 The new service offers virtual medical services that connect medical professionals and patients seamlessly using a telemedicine portal that has been successful in the United States. 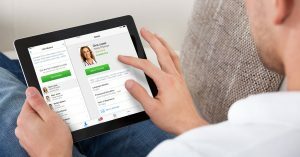 The new platform will offer a real-time experience for patients, offering everything from video consultations with doctors, comprehensive patient education, remote monitoring from a smartphone device, delivery of prescriptions and medications, lab tests results, and doctors/nurse home visits 24/7 in selected metro areas. “All these services are combined in a single user experience with a soon to be released mobile app, not available in any other country in Asia” … Mr. McClung, CEO MyDocNow. MyDocNow is partnering with US-based company Avizia, a pioneer in the delivery of a telehealth platform that works with large health systems and insurance providers to connect patients to healthcare specialists anywhere in the world. MyDocNow operates a call center, which is a 24/7 facility fully staffed by highly skilled nurses who are trained to perform basic triage, use the functions of telemedicine to manage the doctor/patient connection in order to facilitate a consultation and follow up with a patient and doctor satisfaction survey. MyDocNow encompasses Lifeline Rescue, a Manila-based organization with over a 100 doctors providing emergency response services in urban areas while delivering other innovative services. Since it is estimated that 65% of interactions with healthcare organizations will be conducted via mobile devices by 2018, MyDocNow is proud to offer a streamlined mobile platform that will bring both medical professionals and patients in the Philippines into the next generation of healthcare. MyDocNow is also partnering with Davao Doctor Hospital to deploy it services. “We see the MyDocNow service as an extension of our objective to be a technology leader in delivering new services to Philippine patients as well as Beyond our Borders.” … Raymund del Val, President & CEO. The company will offer its services to doctors, the general public (via apps in Google Play and Apple Stores) and insurance companies. The new virtual healthcare delivery system will make it possible for healthcare providers in the Philippines to save time while providing premium services to patients. Patients will receive the quality care of a doctor at their convenience. It is simple, secure and confidential. MyDocNow was created by a dedicated and dynamic team of medical and health professionals, information technology specialists, and prominent business leaders.